Whether they're your Achilles heel or just a necessity, women's bags sit amidst a flurry of trends, styles and designs. From rucksacks and shoulder bags to clutches and totes, we've got every type of carryall to help you, ahem... carry it all! If you're a classic lady all about staying chic, you can search our range of women's bags for something timeless. Elegant handbags make a fashion forward statement, and if you're looking for your everyday staple, you should go for muted tones that work well with lots of outfits. Black, navy and brown are all classically understated, while white, cream and grey offer a modern alternative to the traditional. Make sure you have your dressy occasions covered with a simple evening clutch bag. Choose a patent envelope clutch to make a statement with a cocktail dress, or pick a suede number to softly finish a ladylike outfit such as smart trousers and a blouse. If you're all about the statement handbag, we've just the ticket in our range of women's bags. Metallics are back this season and the perfect touch of luxe to any outfit, day or night. 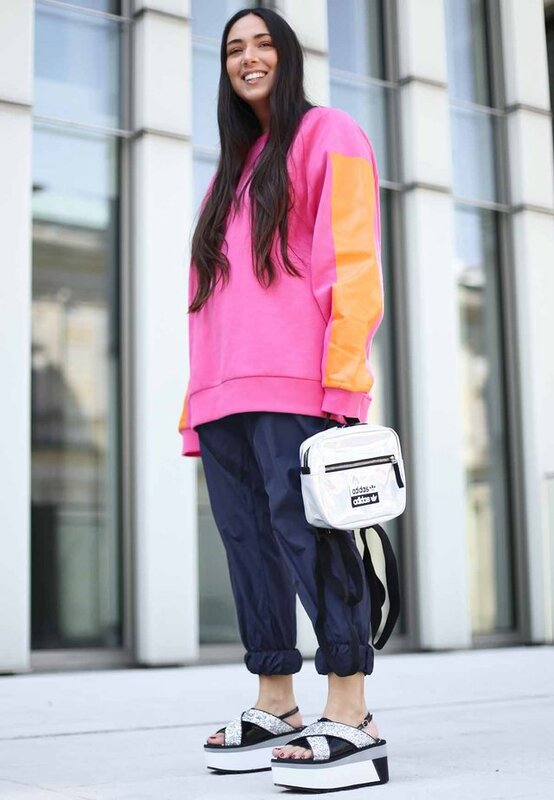 Streetwear favours the rucksack, so look to this modern style if you're a hipster in the making. Wear yours with streetwear infused outfits and 90s fashion for a nostalgic grunge feel. Tote bags are eye catching for daywear. Pick an oversized, colourful design for a standout piece that you can match or clash with an array of outfits, but choose a subtle hue such as blush pink or camel brown for a timeless finish that'll stay forever chic and ladylike.